His affection towards theatre first emerged when he read the plays of Beckett and Ionesco at high school. He studied acting at Halic University Conservatory and graduated in 2014. His acting career was accompanied by playwriting when he wrote and directed his first play, 11’e 11 (11 to 11), in 2011. He then went on to write his second play, Kasap (The Butcher), which was originally planned to be staged as a short-term project but is still being performed due to great reviews and a strong demand from the public. Afterwards, he wrote his third play, He-go, in which he is also starring. These two last plays are still being performed in Istanbul. 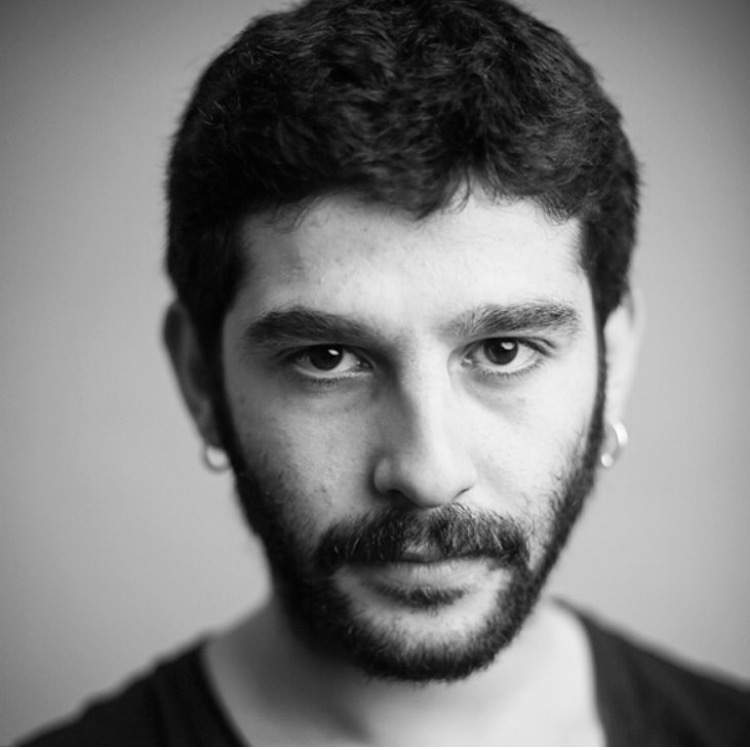 He has also written a forth play, İcimdeki Yangin (The Fire Within). He is also working as a screenwriter. In a barber shop somewhere in the middle-east where haircuts are currently being done according to a precise measurement called 11 to 11, in an era when it is forbidden to hold opposing arguments in public places and when barber shops are labeled as base camps of resistance, the owner of a barber shop, Nadir, continues to render his services under new regulations. He will not only be forced to bear the pressure of the system but also to face his past and fears. As the barber shop is yearning to be the nest of different opinions, Nadir will have to make a crucial choice: either he shall yield or change. Play available in English and Turkish.